Viscount White is a veined grey granite from India. 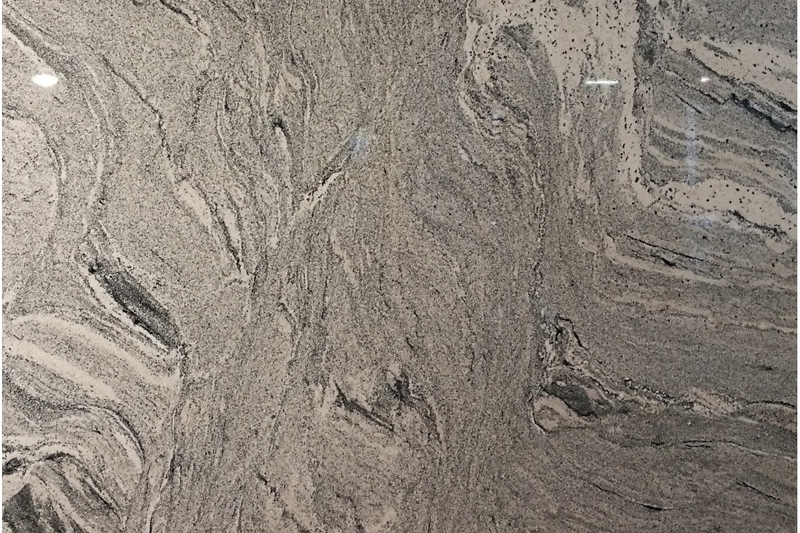 As granite is scratchproof it is an excellent choice for kitchen. Dark granite is nonporous, light granite needs to be sealed. 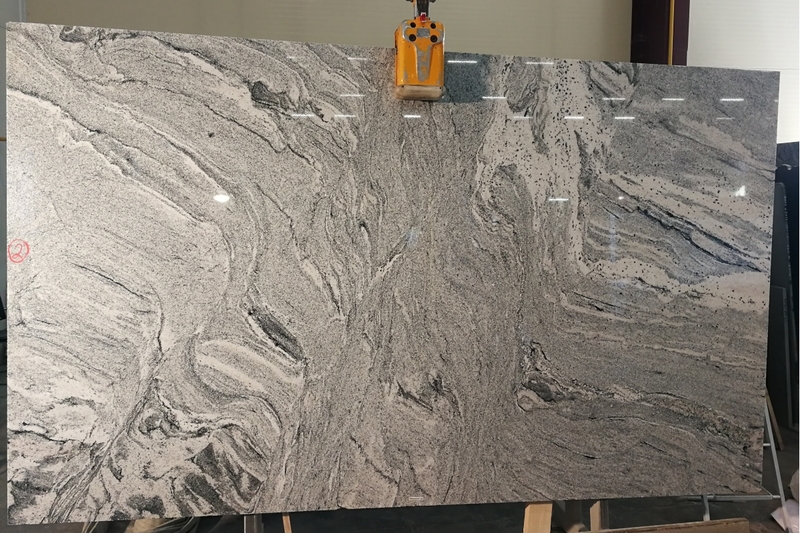 Light granite worktops are sealed in the factory. Granite is heatproof. The hardness in Mohs scale is 7. You can calculate the exact price for your worktops with our Autoquote feature. Alternatively you can send us your kitchen plan or just call us. 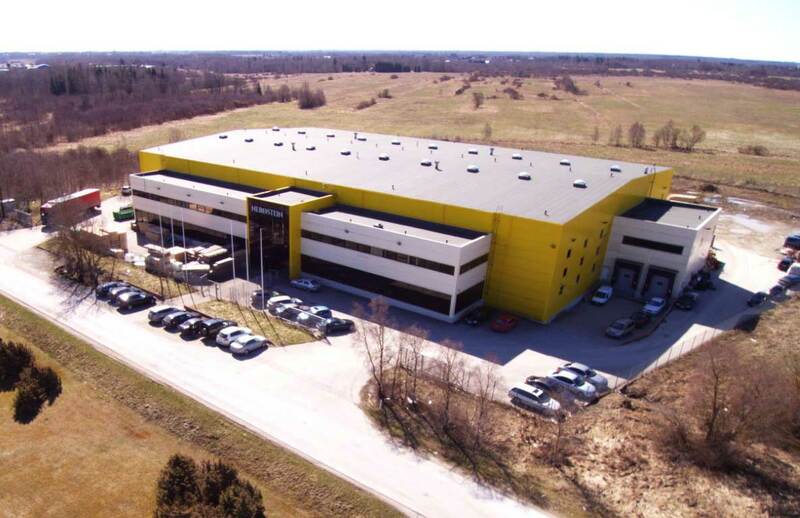 Measuring up and installation service are included in the price. 1-2 weeks after measuring up. For measuring up your kitchen units should be in place. Our surfaces will keep their enduring luster and beauty for years to come, with minimal effort. Warm water and a splash of mild detergent is all that´s required to keep them looking their best. Still, specialized stone care products will make the cleaning easier and could increase the shine, sealing is recommended but more needed for light granites. Dark granites do not need to be waxed or sealed. 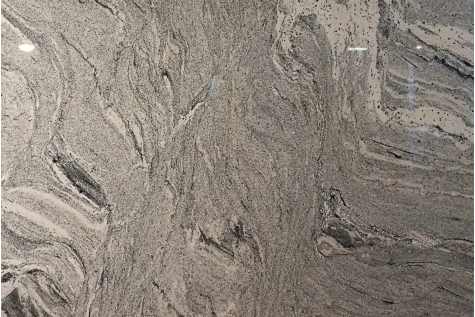 Granite is highly heat resistant and is both durable and hard-wearing. Still a pad or trivet placed between worktop and hot object is recommended. 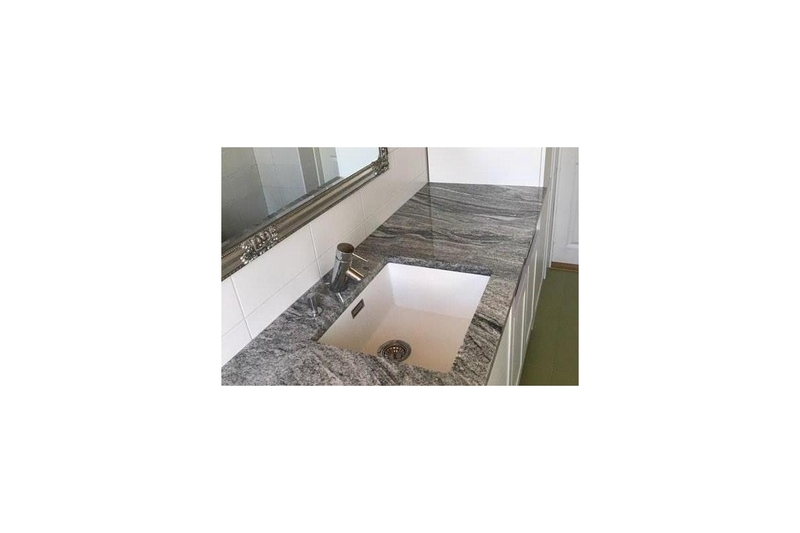 It´s important to be aware that like any other surface, granite can be permanently damaged if exposed to strong chemicals and solvents that can damage its physical properties. Never clean your granite surface with products that contain Trichlorethane or Methylene chloride, such as paint removers or strippers. Should your surface accidenttaly be exposed to any of these damaging products, rinse immediately with clean water to neutralize the effect. If your granite worktop gets stained, then in most cases, stains can be removed with specialized natural stone stain removers.